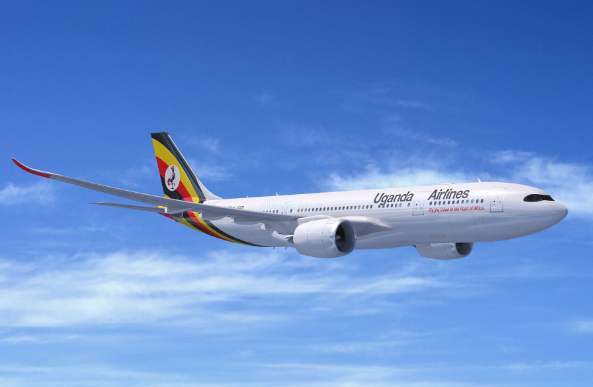 KAMPALA – Uganda confirmed the purchase of two new Airbus A330800 Neo order aircraft as part of the plan to return Uganda Airlines to the skies. According to Monica Azuba Ntenge, Minister for Works and Transport, the payment—$10 million for each aircraft—was made on April 5. Ms. Azuba said the payment saved Uganda from price escalation and loss of delivery slots as well as the $0.8 million which was paid to Airbus in commitment fees last August, shortly after Uganda Airlines signed a memorandum for the purchase of the smallest variant of the redesigned A330. According to Airbus, the A330neo is more fuel efficient and can potentially fly up to 1500 nautical miles farther than the majority of older A330s in operation. The new aircraft features a three-class seating layout comprised of 20 business, 28 premium economy and 213 economy class seats. The planes will be delivered in 2021.